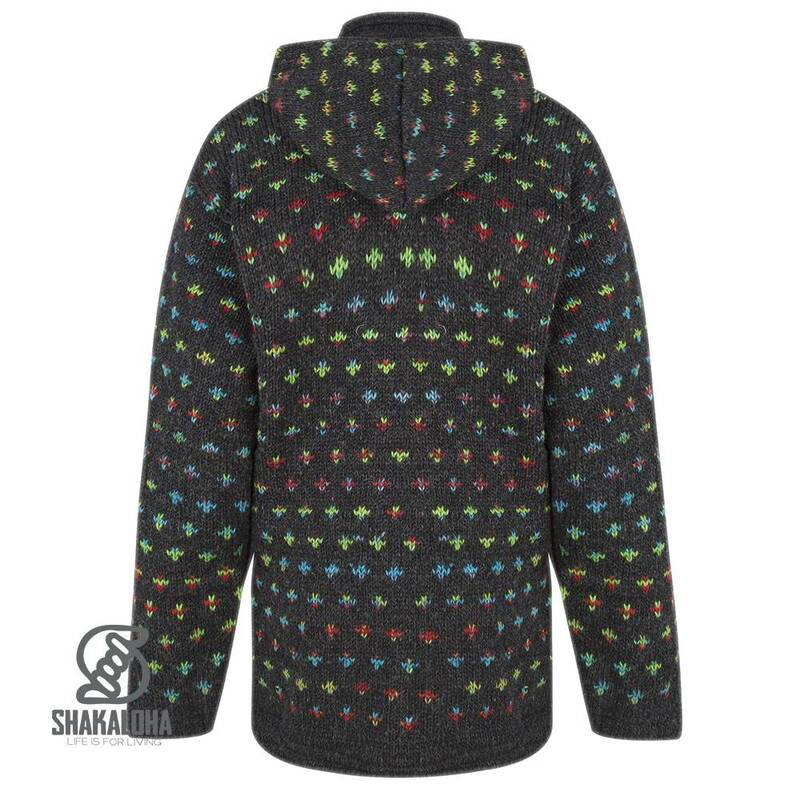 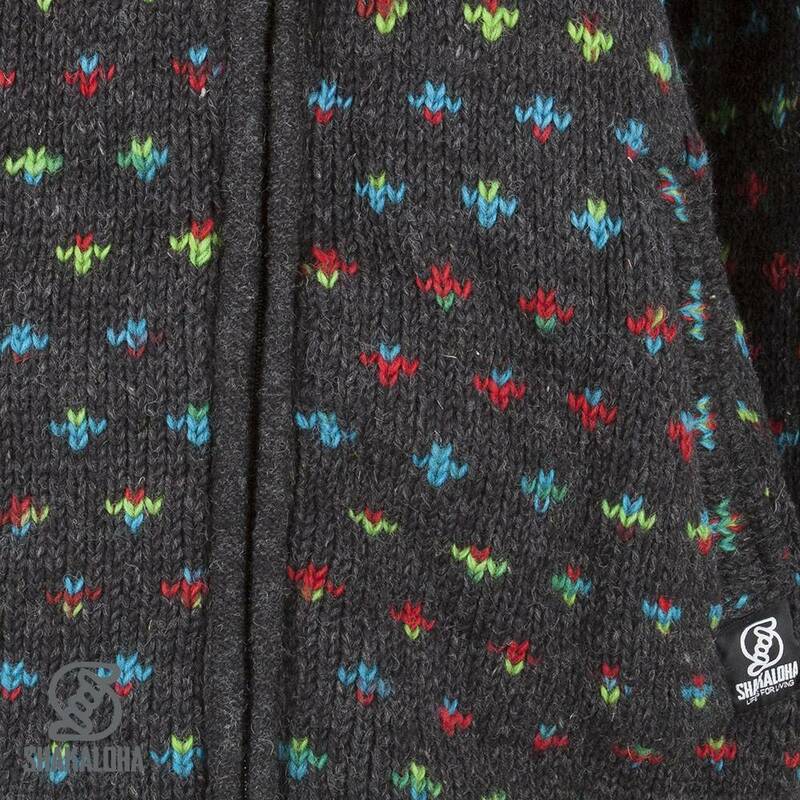 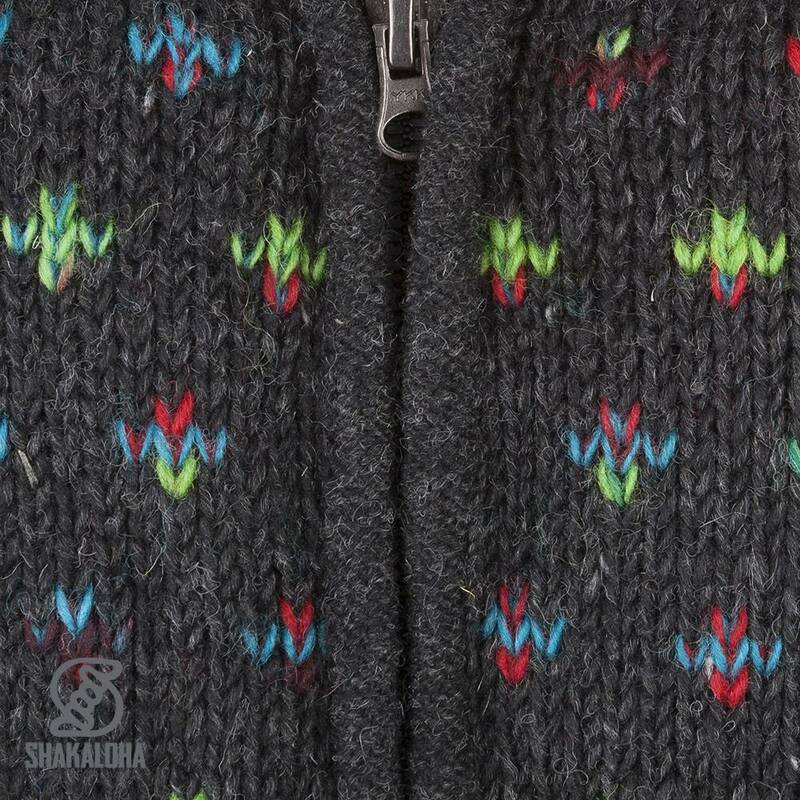 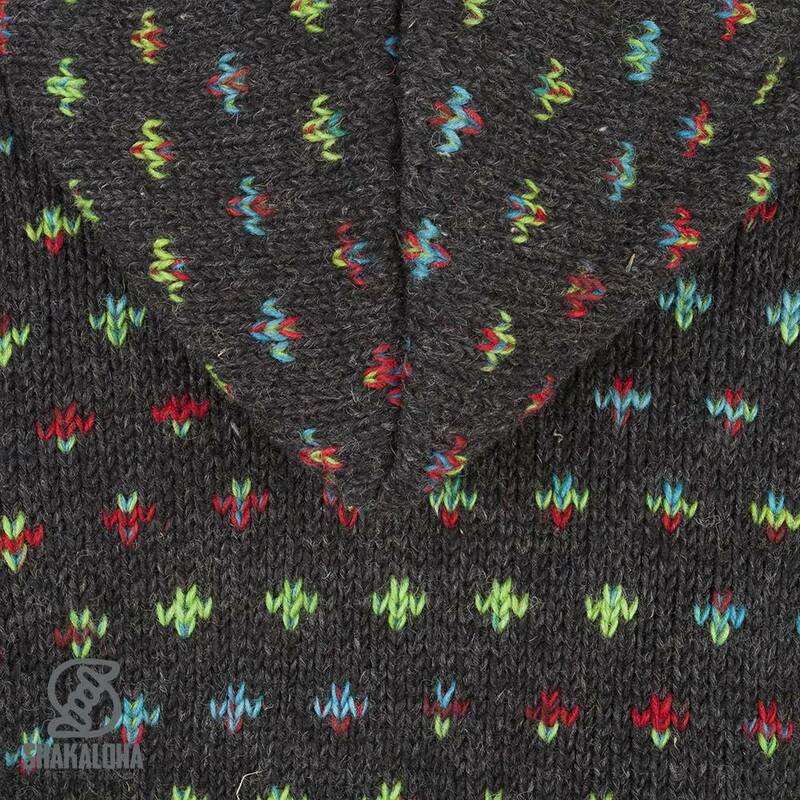 Fleece-lined wool cardigan in antarciet with bright multicolor dots. 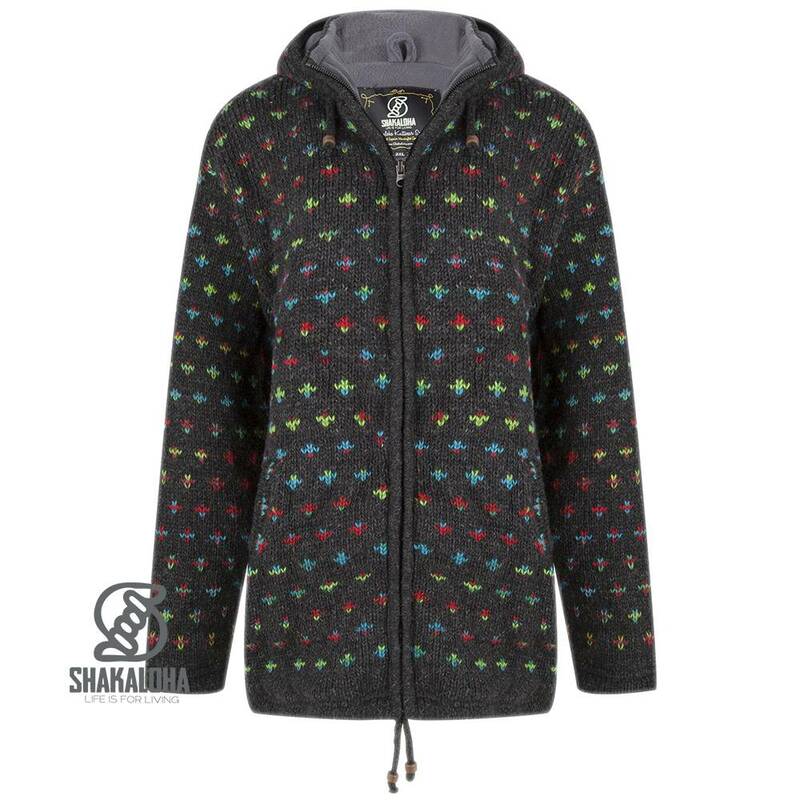 This jacket has a fixed hood inside with a fleece lined collar that closes well. This jacket is also available in light gray with bright "flakes"